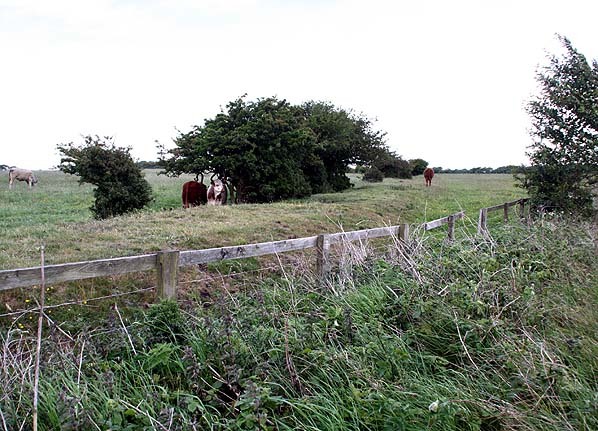 Note: Dairy House, a farmstead which has long disappeared from the landscape, was located close to the point where the waggonway from Hester Pit (New Hartley) curved sharply from its south-easterly course to pursue a north-easterly route towards Seaton Sluice. It is possible that trains on the waggonway between Hartley Pit station and Seaton Sluice called here, but there is no firm evidence that they did. When the Blyth & Tyne’s Avenue Branch opened, it followed the waggonway’s route from the new (2nd) station at Hartley as far as Dairy House, where there was now a junction - the Avenue Branch continuing straight ahead to Whitley, whilst the Seaton Sluice waggonway curved away from it. The opening passenger timetable of the Avenue Branch (1 April 1861) included Dairy House as the only intermediate station. Some months later The Avenue replaced it in the timetable. There is no compelling evidence that a station was ever built at Dairy House, the only hint being a broadening of the railway property on the north-east side of the Avenue Branch single track immediately north of the divergence of the waggonway to Seaton Sluice, as shown on the 1:2,500 map of 1865. It could be that the name Dairy House was given in error to The Avenue station (only half-a-mile north) and that the change of name in the timetable was a correction; but why would the name of Dairy House have appeared, even briefly, if passenger trains had never called there? The southern end of the Blyth & Tyne Railway has a complicated history. Until 1861 there was a single route south from Blyth and Seghill through Prospect Hill to Percy Main, with a terminus adjacent to the NER station. 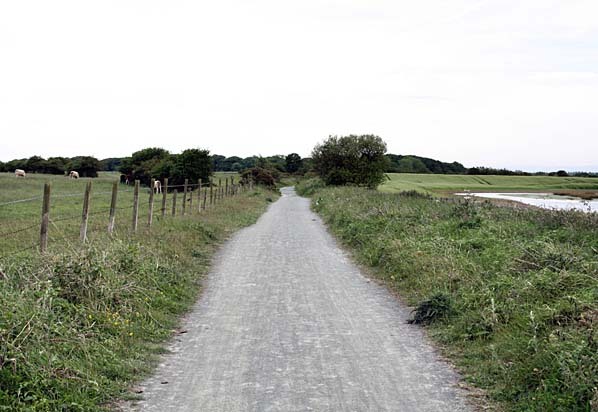 However in that year a new branch was opened, following the route of the former Whitley Waggonway, extending from Hartley to Tynemouth. It should be noted that this included the stretch to what is now Monkseaton, which was to be known as the ‘Avenue Branch’, and that the line beyond to Tynemouth was half a mile inland of the present day Monkseaton – Tynemouth Metro line. Looking east from the trackbed of the Avenue Branch towards the route of the Seaton Sluice Waggonway, which is the curving platform of land partly obscuring the cattle (left of centre) and on which a cow is standing in the distance. 1865 1:2,500 OS Map. The Avenue Branch (Hartley – Whitley) crosses from north-west to south-east: the ‘milepost’ giving the distance of 5 miles to both Blyth and Tynemouth will be noted. The Seaton Sluice waggonway diverges eastwards, and the broad area within the railway boundary fence immediately north-west of the junction suggests that there might have been a station at this point, although no pathway is indicated to it. If there was a station here the intermittent passenger service (1851-3) between Hartley and Seaton Sluice might have called. In 1861, when the Avenue Branch opened, Dairy House was named as a station in the timetable, but The Avenue replaced it after a few months. Looking north-west from the junction of the Avenue Branch and the Seaton Burn Waggonway. It is likely that Dairy House station was immediately ahead and to the right of the former trackbed.